Chicago is a destination vacation, no one is here to argue that. Tourists, sports enthusiasts, world travelers and school children all visit our home every year, but for the most part they actually intend to come. The same can’t be said for a baggage handler working for Piedmont Airlines, who was found comfortably dozing in the cargo hold of a plane that flew in from Kansas City this week. Chicago Police spokesman Anthony Guglielmi says he was found when the flight landed about an hour later at Chicago’s O’Hare airport. The spokesman says the handler told police he was intoxicated and had fallen asleep. No charges were filed, and he was sent back to Kansas City, according to an article from the Associated Press. These are likely not the types of visitors the Windy City is looking for, but we may be willing to assign points for creativity. This particular blogger is an NBA fan, and general proponent of swagger laden alternate uniforms of any kind. The Chicago Bulls have truly outdone themselves, and though the product they’re putting on the court this year isn’t necessarily anything to write home about, their 2018-19 City Edition uniforms are extremely badass. 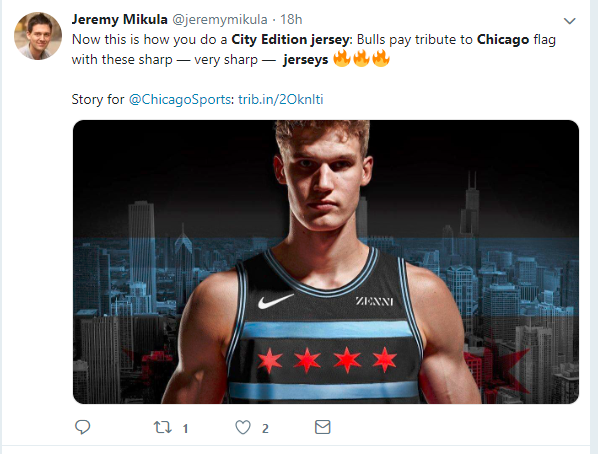 In a media release based largely around Twitter (due to the popularity of #NBAtwitter) the Bulls used Lauri Markkanen as a model for the alternate. “Black jerseys provide a canvas for the tribute to the flag, with two light blue stripes and four red stars splashed across the chest. Red numbers outlined in white are underneath and to the viewer’s right, while the arm and neck openings feature blue piping” says the Chicago Tribune in their coverage of the event. The jerseys — which will be available at the Madhouse Team Store at the United Center and online starting Nov. 9 — are the second black uniforms the Bulls have this season in addition to their traditional red-and-white jerseys. 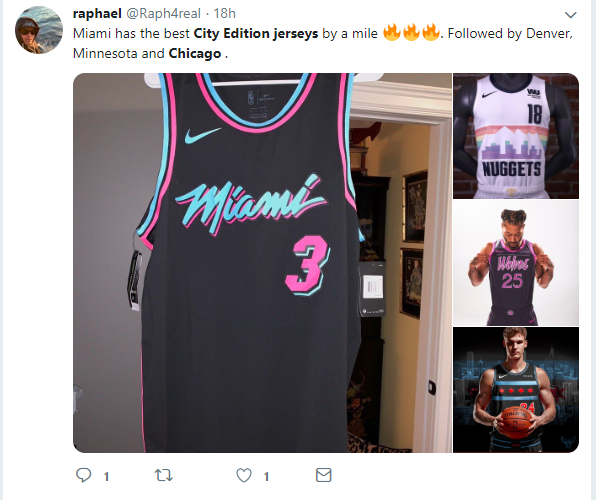 Twitter immediately voiced their opinion, noting that the Bulls, along with the Heat and T-Wolves Prince themed uniforms were standouts among the city edition releases. Christmas seems to start at different times for different people. For instance, I believe that it should begin around December 20th and last a week, and my mother believes it starts sometime within the weeks following the 4th of July. Christmas in Chicago starts to feel more real of course when Millennium Park’s ice rink and the Maggie Daley Ice Ribbon open and downtown Chicago becomes something of a winter wonderland for all to enjoy. Midwesterner’s are born into the cold, and skating is a way of life, but of course one of the most fun parts of experiencing the downtown skate scene is watching people fall. The two ice skating attractions will open Nov. 16, helping kick off holiday festivities Downtown. That’s also the day Millennium Park’s 60-foot Christmas tree will be lit up during a special ceremony. “Both the rink and the ribbon will be open daily until mid-March as long as the weather holds up. Those who want to get on the ice don’t need to own their own skates, as rentals will be available. 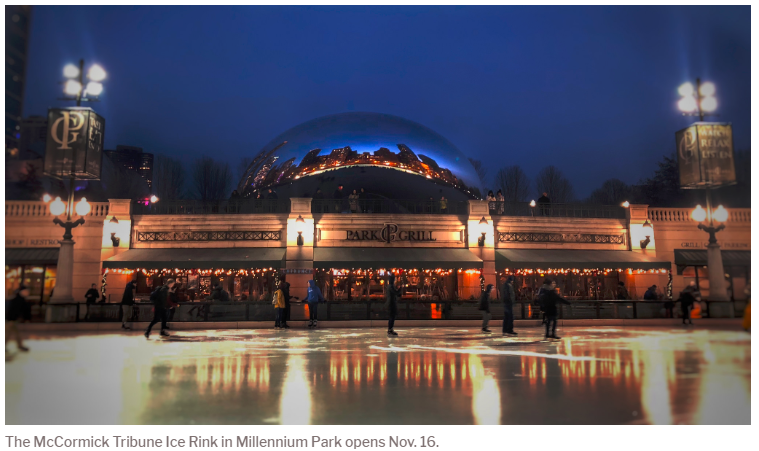 The McCormick Tribune Ice Rink (the one by the Bean) will also have free skating lessons” according to an article from Block Club Chicago detailing the calendar of events. Enjoy all of the skating, hot chocolate, and scenes downtown has to offer, just be wary of finding yourself in one of the 200+ engagement photos that are taken there on a daily basis. The side of the famous Merchandise Mart building isn’t for sale for advertising space (yet), but five nights a week there is still a pretty rad light show setting the night sky ablaze on Upper Wacker in downtown Chicago. Utilizing 34 digital projectors, the show features work by a rotating lineup of artists and is best viewed from Wacker Drive or the Riverwalk, between Wells and Orleans Streets. Art on theMART lights up the night Wednesday through Sunday, from 7:15 to 9:15pm. A truly impressive marvel of technology and art working in unison, the project has featured some of the formative digital artists the US has to offer, illuminating over 2.5 acres of building and “transforming its urban context,” according to the project website. 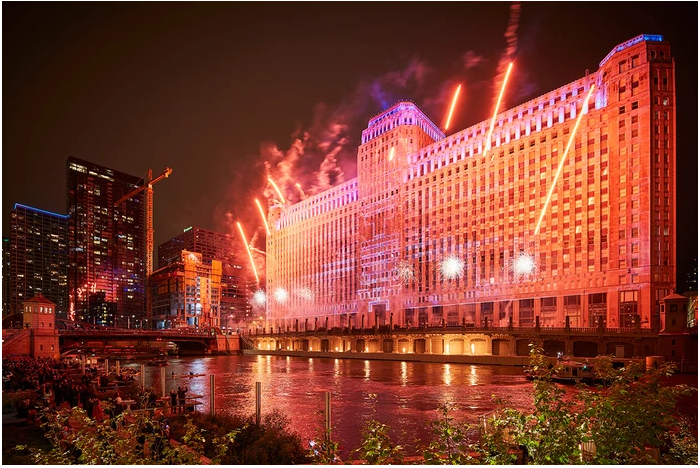 With its minimum thirty-year duration, its location in the heart of downtown Chicago along the Chicago River and its substantive and relevant content, Art on theMART is the next iconic milestone on Chicago’s visionary trajectory of public art. Take yourself a walk down to the river one evening and enjoy the show, and appreciate the culture this city provides for our lives on a daily basis, also fireworks.